We have all been there. We get a great idea for a new web site, we want to tell people about it but we don't have any content yet. What do we do? 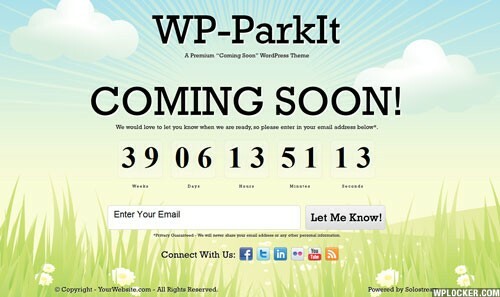 Introducing WP-ParkIt, the new "Coming Soon" Premium WordPress Theme from Solostream. 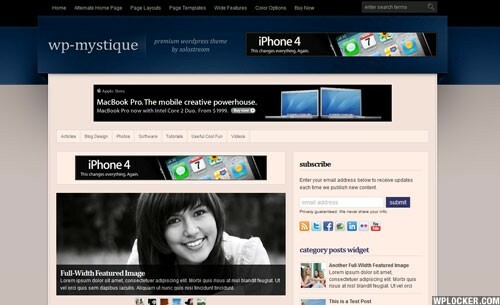 Introducing WP-Mystique, a Premium WordPress theme that's all about beauty, versatility and functionality. Multiple page layouts and a built-in control panel make this theme a breeze to use. 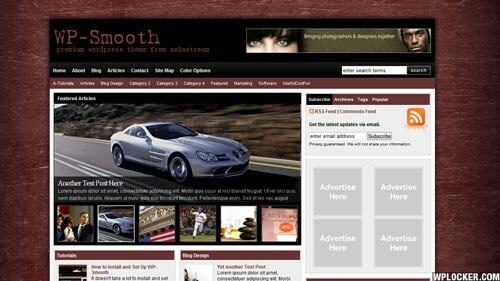 Suitable for a business blog, website or online magazine. 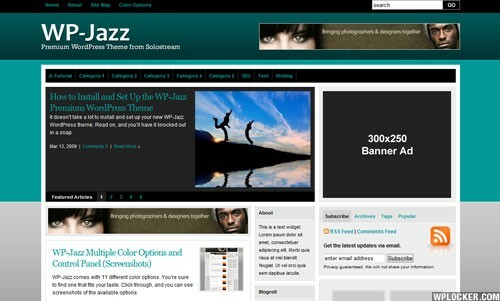 WP-Jazz is a bright, modern WordPress magazine theme with an expansive control panel that makes it easy to change and tweak the many available options, colors and layouts. Bright, light and flexible is what you get with WP-Aire. 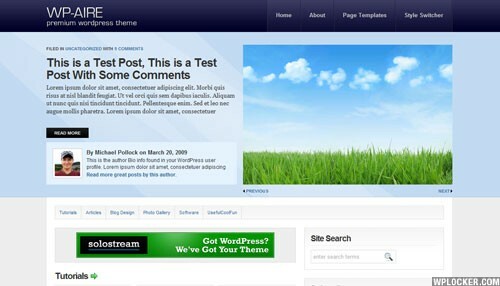 Whether you want a business website, a simple blog layout or a full-fledged magazine-style site, WP-Aire will have you and your WordPress site flyin high in no time at all.